Maryland Shingle is your one stop for window replacement, featuring quality Soft-Lite and Certainteed Replacement Windows & Doors. Call today for a free no obligation estimate! Tired of high energy bills? Well it may be time to consider replacing those old drafty windows and doors. Homes with older leaky windows and doors not only make the house feel cold in winter and hot in summer but they cost you hard earned money. When your furnace running your money is going out of your old leaky windows and doors. With so many top rated EneryStar Rated windows available today it makes sense to consider replacement windows and doors. Maryland Shingle offers a wide range of money saving energy efficient low-e replacement windows and doors such as Simonton, CertainTeed, Soft-Lite, Atrium, Provia and more. We also offer many color choices including many exterior and interior colors that can be mixed and matched. Maryland Shingle can even provide two tone windows and grids in your new windows for example tan exterior with white interior helping to meet architectural and HOA guidelines for your community. Glass options are another Maryland Shingle ability with tilt in sashes for easy cleaning. Laminated glass, tempered glass, double pane, triple pane, argon gas, krypton gas and many available low-e coatings help us configure a window package that not only meets your energy saving needs but your budget also. We can also work with you to replace just a few or all the windows in your home at the same time. It completely up to you how you start saving money on high energy bills. 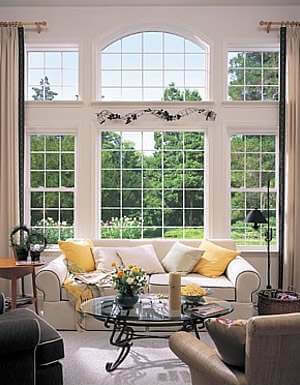 All our windows are custom sized to each window opening making sure we give you the maximum glass area and proper fit. Once our custom manufactured windows arrive from the factory installation in your home usually takes only one or two days letting you quickly start enjoying the savings. Your new windows also include the capping of your exterior window or door frame in new PVC or poly coated coil stock for a beautiful maintenance free appearance in a wide selection of available colors. With our large offering of available high quality energy saving replacement windows your sure to find a window that's a perfect fit for your home. Call today for your free no obligation estimate and joint the growing number of homeowners who now call Maryland Shingle their contractor of choice.